How do you transform a traditional kitchen into a modern masterpiece? 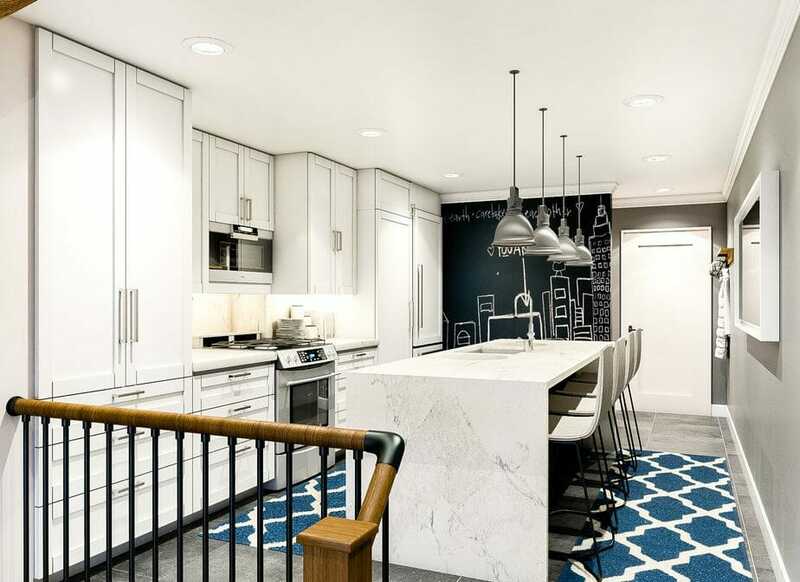 A significant kitchen renovation is a daunting task for many homeowners. Where to begin is only one of the many questions you’ll face. 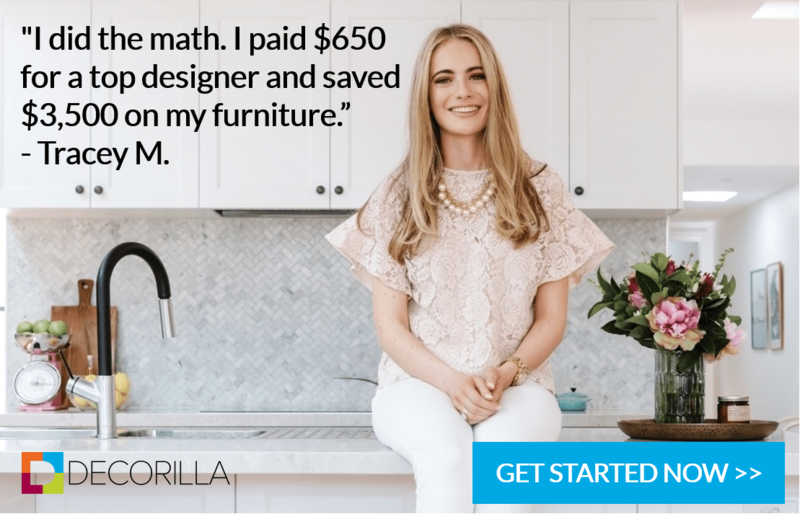 Luckily, help is within reach in the shape of Decorilla’s online interior design services. 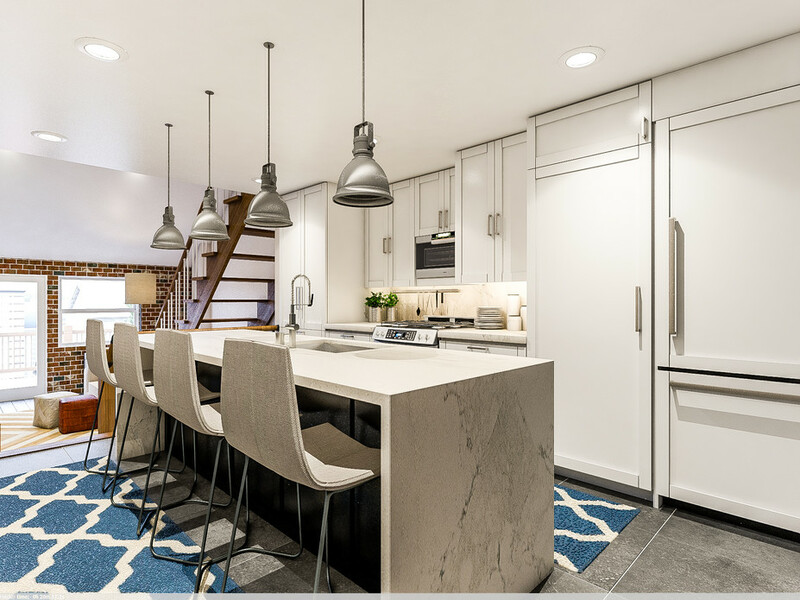 A recent Decorilla client wanted to create a contemporary kitchen with generous seating in a small space and consequently needed creative input for the complete overhaul. Now his kitchen is a bright, modern space with an eclectic twist! For inspiration beyond the kitchen, check out this modern rustic living room before and after! Inspired by neutral interiors with an earthy touch, the client wanted a subtle color palette and a waterfall countertop. Lighter colors are ideal for this small kitchen to enhance the light and space in the room. To help your designer, it is beneficial to gather as much inspiration and ideas. That will help them to form a better design concept. 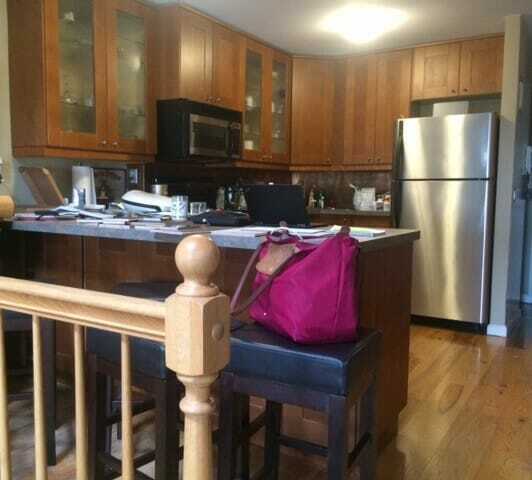 As you can see from the before photo the kitchen is probably a little too dark due to the lack of direct natural light. Also, it features quite a few different tones of wood that weren’t working together. As a result, it was time for a face lift and a rethink of the layout! Online kitchen design by Decorilla interior designer, Aldrin C.
Moodboard design by Decorilla interior designer, Aldrin C.
The client decided to go for a minimalist modern kitchen design by Decorilla interior designer, Aldrin C. Aldrin had to ensure that there was enough space to seat four people. The initial design incorporates a two-tone cabinet finish. With the client’s input, the design changed to a predominantly white lacquer cabinet finish. The matte black finish on the kitchen island cabinets gives the kitchen an original, modern look. 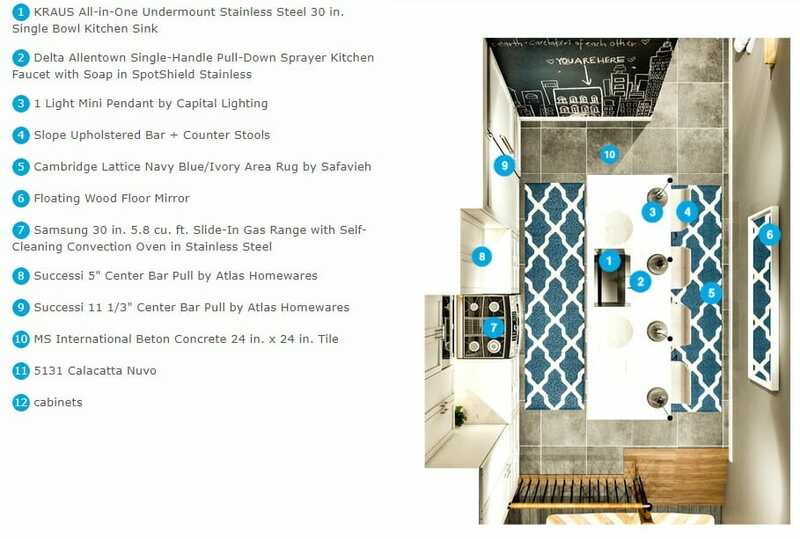 Floor plan and shopping list by Decorilla interior designer, Aldrin C.
A blackboard feature wall mirrors the matte black of the kitchen island cabinets. This helps to create a cohesive look. 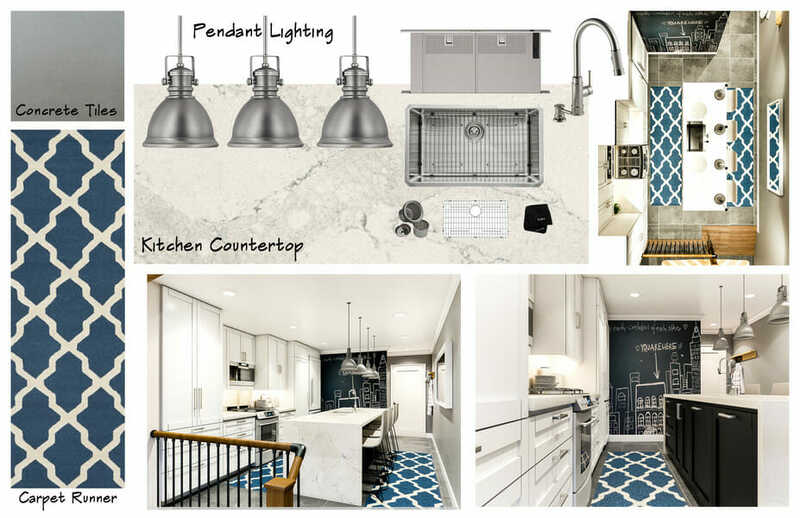 The kitchen island features a waterfall quartz countertop and industrial-style pendant lights. 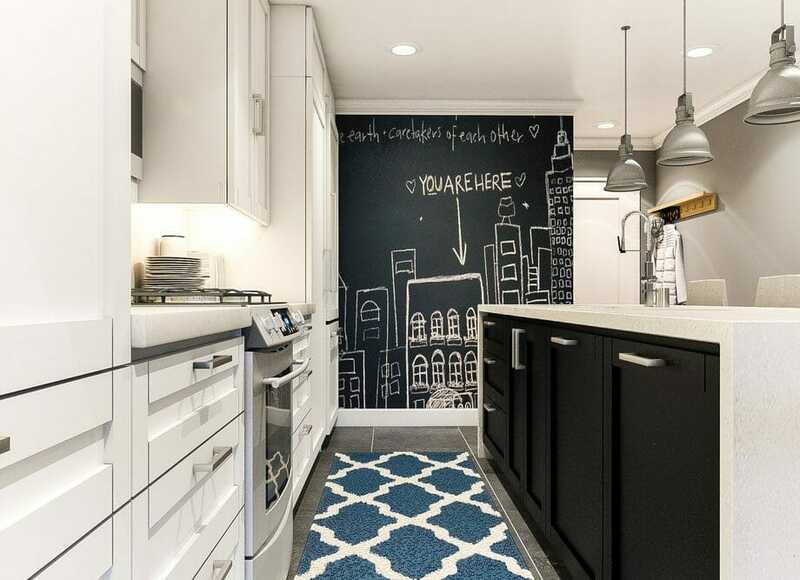 The teal carpet runners for add the perfect splash of color. 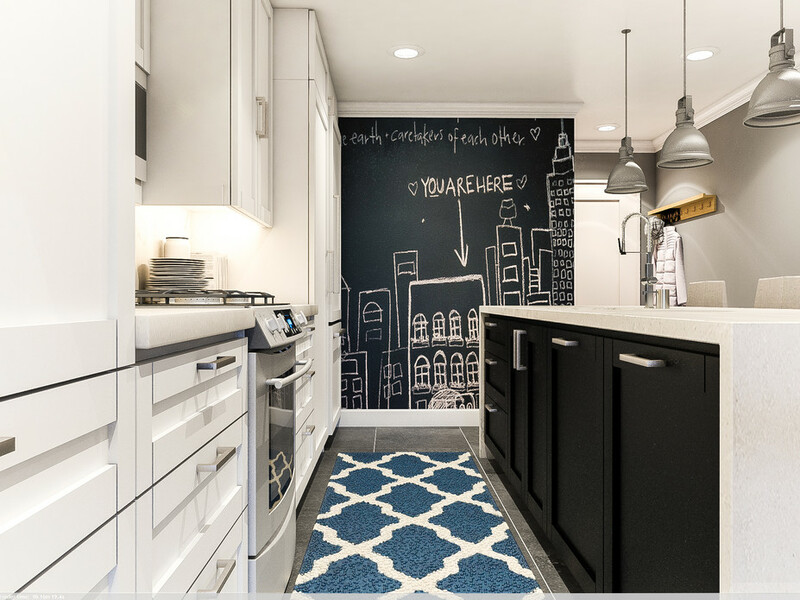 We love the idea of using two runners when you aren’t able to bring in a larger sized rug. Adding an area rug is a great way to soften a space and make it feel cozier. 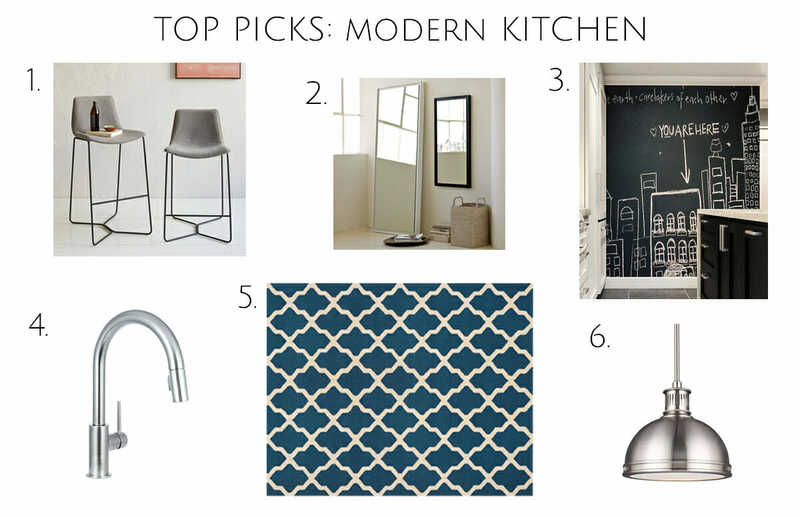 The kitchen has moved away from dark and traditional to become a light-filled modern haven. It was so important to the client to have a bright space. This lead Aldrin to cleverly chose Sawgrass by Behr for the walls. The paint has a durable eggshell finish to bounce even more light around the room. The chalkboard feature wall is a practical addition. The dark color also adds depth and height to a mostly white and grey room. Due to the under-cabinet lights, all the darker corners will be illuminated. This will help in making the room feel bigger. Similarly, the long lines from the barstool legs, waterfall countertop, and pendant lights work together to create height in the room. 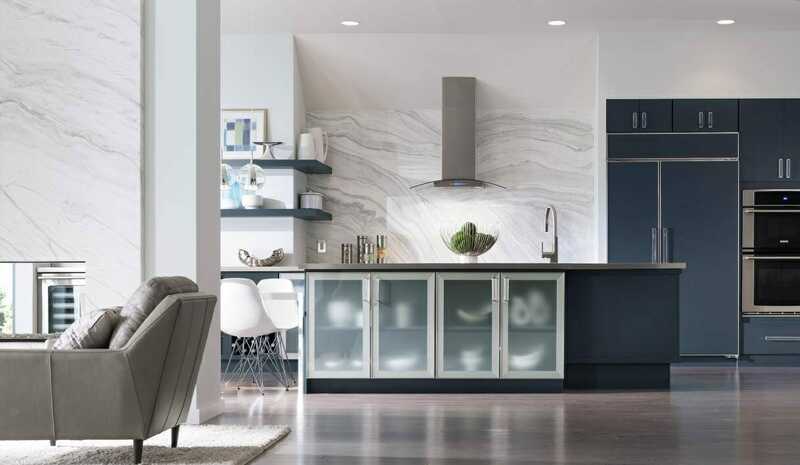 One of the most striking features of this modern kitchen design has to be the waterfall countertop. What a seamless way to highlight natural materials! 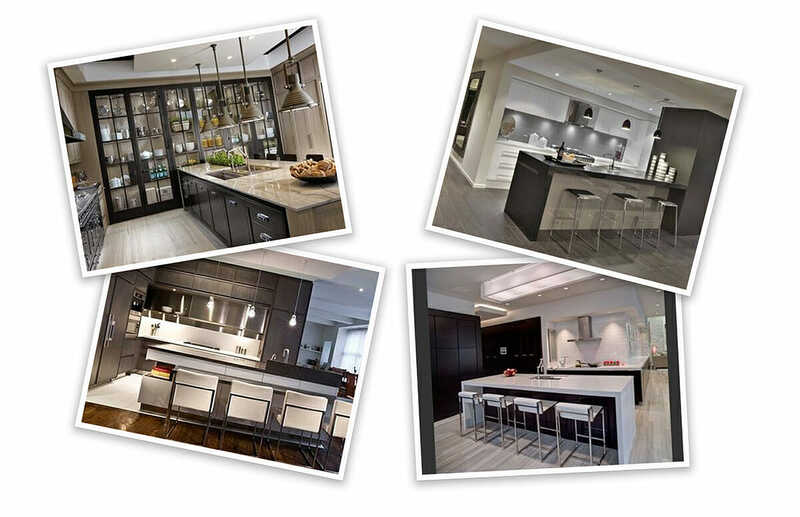 Another way to get ideas to look online, like these fabulous modern kitchens designs. As a result, creating a dream home can be a breeze with the right guidance. Our experts can assist you every step of the way! From start-up proposals to the final shopping trip. Head to the sample portfolios section for more inspiration and a glimpse into what our interior designers have been up to lately. 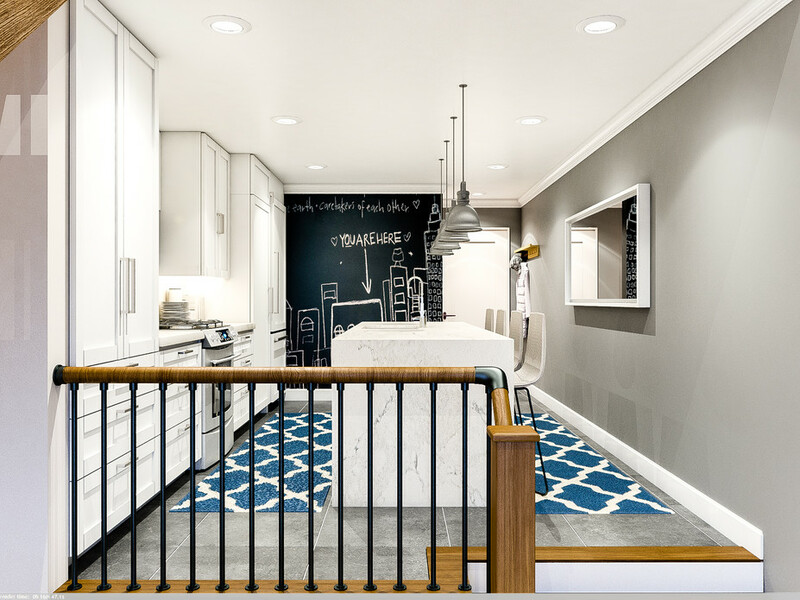 Schedule your Free Interior Design Consultation today to see how our talented designers can help you achieve your dream space!